OTTAWA — The world is less than a decade away from the tipping point at which electric cars will cost the same as conventional gas-powered vehicles, says a Canadian energy think tank. But Clean Energy Canada says in a report this country is lagging on the government polices that elsewhere are helping spur consumers to adopt the new technology despite reservations about everything from price to reliability to the distance they can travel on a single charge. "The only way we will get to a point where an electric car is an equivalent or cheaper price than a gas car is if we can achieve a certain scale of production and to achieve that production we need to do more to make it easier for consumers to choose electric vehicles," said Dan Woynillowicz, policy director at the think tank. Canada also doesn't produce any mass-market electric vehicles, fewer than half of Canadian dealerships of car makers that have electric vehicle models even sell them and supply is so limited here it can take months for a Canadian who wants an electric vehicle to actually drive it off the lot. The waiting list to get a Chevy Bolt, the most popular electric vehicle sold in Canada, is about eight months. While there are 97 electric vehicle models available worldwide, only 27 of them are sold in Canada, and most dealers don't even have a single model on site so people can test drive it, said Woynillowicz. Cutting emissions from cars is a big part of Canada's plan to reduce greenhouse gas emissions to meet its international commitments. Road transportation is currently responsible for about one-fifth of all of Canada's emissions. Transport Minister Marc Garneau plans to release a national zero-emission vehicle strategy in 2018 to help increase the number of sales. Canada is currently one of only two G7 nations without such a strategy. Norway, which leads the world in electric vehicles, with almost 30 per cent of cars sold there being electric, plans to bar the sale of combustion-engine vehicles in 2025 and already doesn't charge any taxes on the sale of electric cars. In Canada, Quebec, Ontario and British Columbia offer cash rebates for buying electric vehicles; 97 per cent of electric car sales in Canada are in those provinces, compared to about 90 per cent of all new car sales. Quebec is to launch a policy in 2018 requiring dealers to sell a certain percentage of electric cars. Despite that, sales in Canada are barely a blip, representing about one in every 100 new cars sold. According to FleetCarma, an Ontario-based tech company helping to enable the adoption of electric vehicles, September was a record-setting month for electric car sales in Canada. That month's total EV sales? Just 2,240 cars, out of a total of 186,800 cars sold. Clean Energy Canada says electric vehicles represent a number of economic opportunities for Canada, including for auto parts manufacturers and the mining sector, spurred on by demand for the minerals and metals needed to make the lithium-ion batteries. If Canada doesn't jump on board more quickly, the rest of the world is going to snap up those opportunities and we'll lose out, says the report. In addition to addressing price gaps, a national strategy could also make policy recommendations or provide funding for additional charging networks, and encourage municipalities and provinces to break down barriers for people to charge their cars at home and at work. Anxiety that electric cars can't get far on a single charge, won't work for long distances or are unreliable are among the biggest barriers for consumers. There have also been reports of condo dwellers or apartment renters being unable to charge their vehicles. 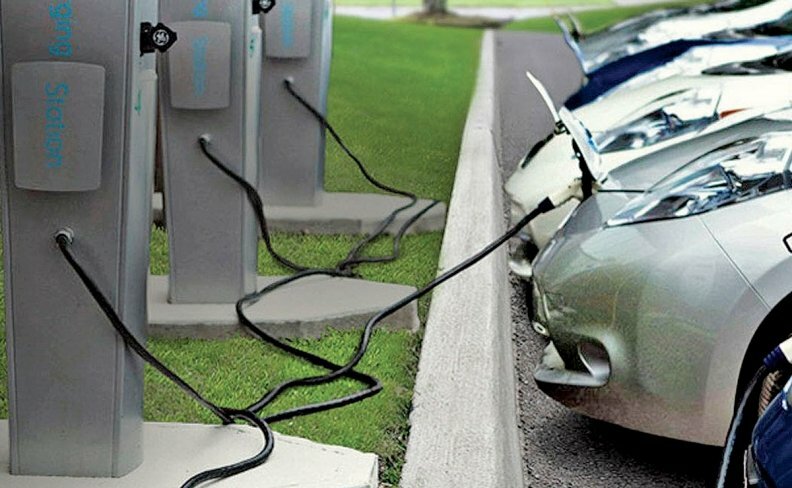 Ontario's new building code standards, as of Jan. 1, 2018, will require any new condo building to include an electric car charger for at least 20 per cent of onsite parking, and the rest will have to be equipped so the chargers can be installed later. But that will not affect existing buildings.